Our team is safety focussed and operates to the highest standards both indoors and out. You will find our staff to be friendly, approachable and keen to share their expertise. Founder of Basecamp Wanaka Climbing Centre, Managing Director Loz Ogle is our resident Kiwi and has been climbing for over 20 years. 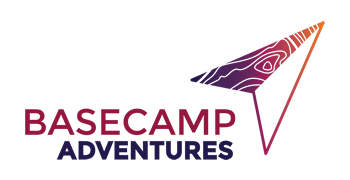 He studied Outdoor Education and has worked in the industry, both here in New Zealand and in Italy, Wales and Australia for over 10 years. 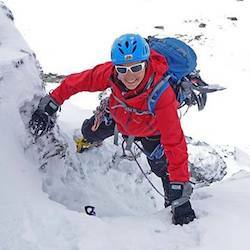 When not at work or at the local crag Loz can be found skiing at Treble Cone, volunteering for the local Search and Rescue group or developing his green thumb in the garden. 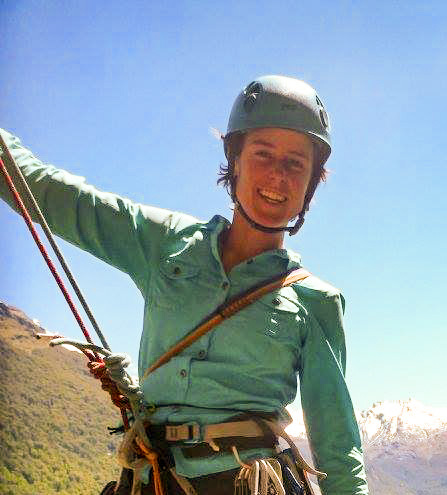 Emily’s passion for rock and the mountains brought her to Wanaka in 2013 after 6 years working as a climbing instructor in Australia. She has been a part of the Basecamp team since early in 2016 and recently attained her NZOIA Sport Climbing Endorsement to add to her Rock 1. She’s happiest when her spare time is filled with adventures in the mountains—climbing, scrambling, skiing or biking, and finishing her days creating delicious food and drinking a glass of pinot! 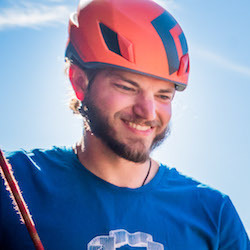 Dayton’s desire to combine his BS (International Business and marketing) from University of Wisconsin with his passion for climbing found him working with Basecamp Adventures, where he uses his marketing and climbing skills on a daily basis. After flying through the NZOIA Wall Supervisor award in Mid 2018 Dayton hopes to sit higher level NZOIA Awards in the near future. Tui has been a resident for the past 2 years (when Loz is working) she usually sleeps in the office but will come out for pats when invited. 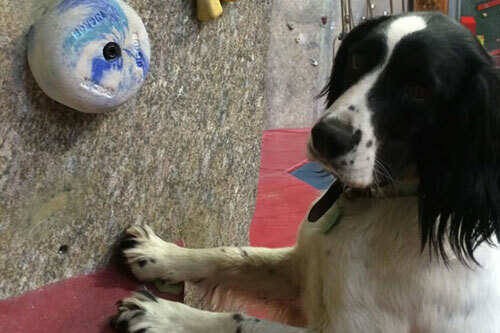 Hannah is a key member of staff at Basecamp and you'll most often find her supervising the Sport Climbing Wall or Clip N' Climb, making even the most nervous of climbers feel at ease.  Prior to joining the Basecamp team in 2015, Hannah managed a tree-top aerial adventure course in Christchurch so managing people and ropes is second nature to her. Her other passion is mountain biking, so on her days off, she can usually be found on Wanaka's excellent single-track trails. 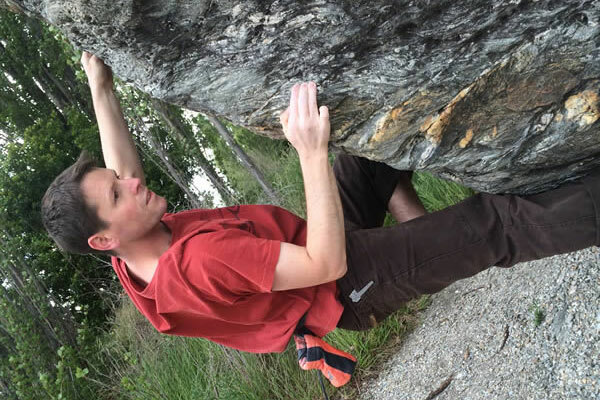 Stef has also been climbing at Basecamp since we opened in 2009 and has a real passion for climbing and bouldering. 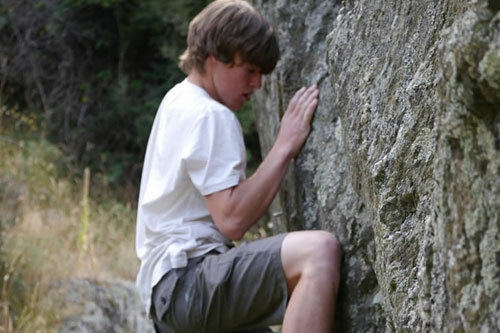 He began as a member of the Wanaka Cliffhangers Climbing Club, competing on a national level and representing New Zealand at the Oceania Boulder Championships. 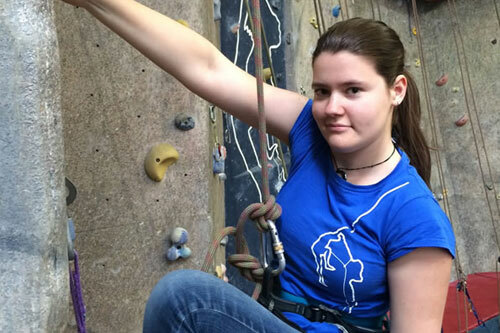 Nia has been climbing at Basecamp since our inception in 2009 and has risen through the ranks ever since. 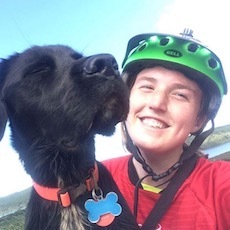 She features in the Wanaka rock climbing guide book and was a regular at our women’s night before moving to Dunedin last year to study Psychology and Zoology (both excellent skills for working at Basecamp!) Luckily for us Nia still returns to Wanaka in the uni holidays and is passionate about motivating and coaching climbers.